Members of the 64th IPCT starting a track. 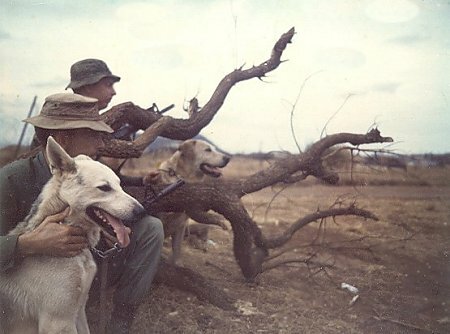 War Dogs. The Scout and the Tracker. 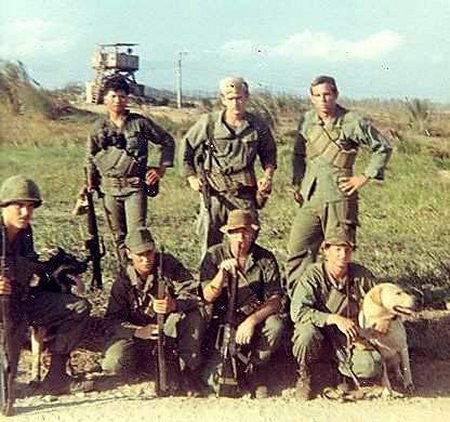 I was with 1/10 Cav, 4th Inf. Div. 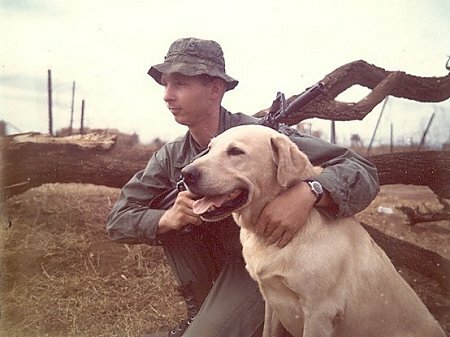 in '69-70. 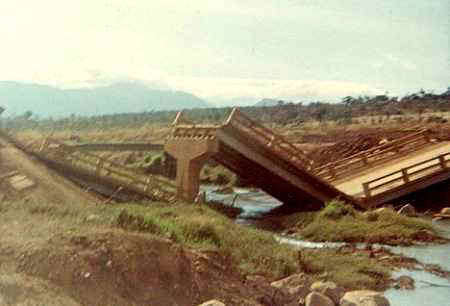 Found your site from 4th ID site and remembered a photo I have. The included photo was taken sometime in late Jan. or early Feb., 1970. 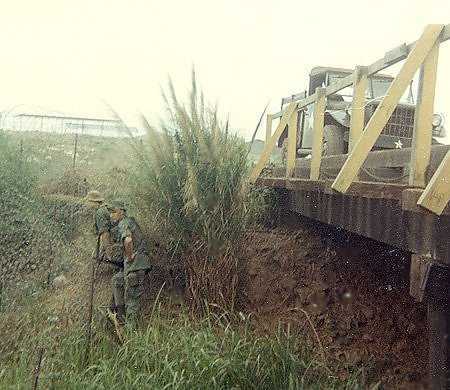 2nd Platoon was mine sweeping a dirt road west of Pleiku running north from QL 19 to Spec. 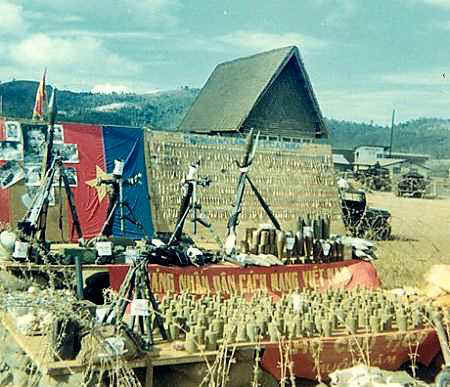 Forces/CIDG base at Plei Djrang. 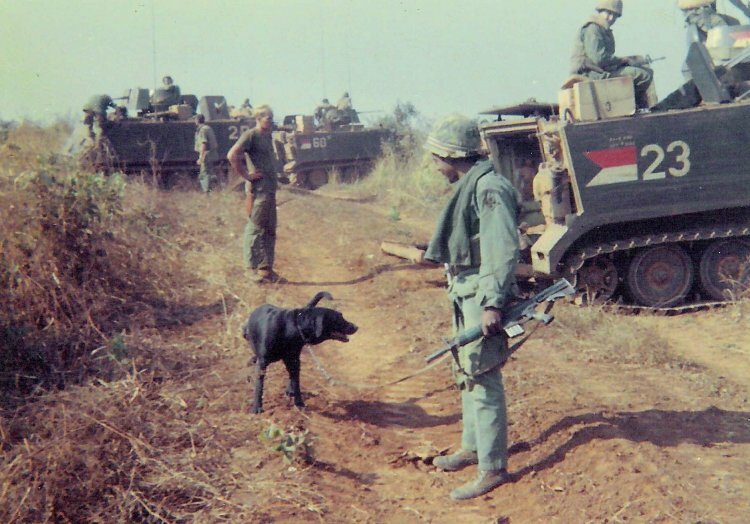 We were ambushed by a platoon or larger group of NVA. Due to very poor planning/execution, things went very badly for them. We had 1 WIA, they had a bunch of KIA and WIA. We found several escape routes with blood trails. The dog/handler were flown out to us. As I remember, we did not have to wait very long. Did some searching around for awhile, then we continued the mine sweeping. Info on your site indicates you always operated in 4-5 man teams. 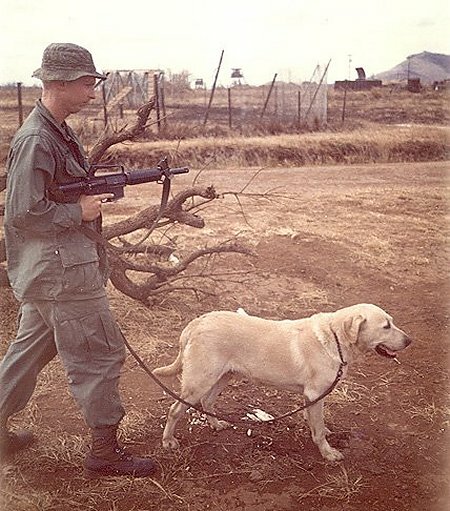 I only remember the dog/handler. It is possible that another person was with him and I was unaware or just do not remember that. I feel certain there was not a "team." However, I was just as certain I had never seen a CAR carbine while I was in country, and obviously that was not true. Maybe the rest of the team joined up later and I was not aware. Anyway, thought you would like to see the photo and figure out who he was. Seems like this may have been a somewhat unusual situation/mission?